Mrs. Dorothy Louise Mobley who crossed the golden bar into eternal rest on Sunday, January 20, 2019. Dorothy Louise Russell was born on September 21, 1953 to the union of Robert D & Laura B. Russell in Bainbridge, Ga. Dorothy received her formal education in the Grady County Public School System where she was a graduate of Whigham High Class of 1971. Early in life she received her license in cosmetology and became the owner and operator of Ms. Dees House of Style in Cairo, Ga. Dorothy was united in holy matrimony to Robert Lee Mobley in 1986. To this union there were no children born. At an early age, Dorothy confessed Christ and joined New Hope Baptist Church, in Whigham, Ga.
Dorothy was a loving & kind hearted woman who loved children. Dorothy Mobley Departed this life Sunday, January 20, 2019. 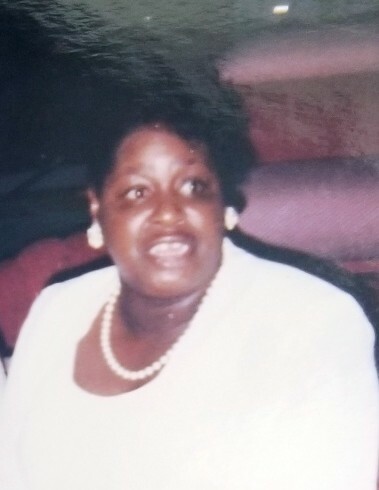 She leaves to cherish her memory: One devoted sister, Ollie Gibson, Whigham, Ga.; three brothers, Jerry Russell (Darlene) Cairo Georgia, Tommy Johnson, Whigham, Ga., and Rosell Jones (Deborah), Whigham, Ga.; One step-daughter; Melba Floyd, Nashville, Tn., One Grandson Jaylon Brinson, Baton Rouge, La. ; 3 Godchildren Tereka Gibson (Tiffany), Hinesville, Ga., Ju’Derek Gee Simmons & Cameron Stewart both of Cairo, Ga.; three sisters in law, Linda Davis (Bobby) Thomasville, Ga., Anita Johnson (Billy), Bainbridge, Ga., Tosha Mobley (Traci) Atlanta, Ga.; Two brothers in law, Danny Mobley, Cairo, Ga. & Freddie Bryant, Thomasville, Ga., A special cousin Gunzella Crawford, Bainbridge, Ga., and a very special friend/sister Yvonne Stewart, Cairo, Ga., and the ladies of “Girls Night Out”. Dorothy was loved by so many beautiful nieces, nephews, cousins, church family & friends. A husband, mother, father, two brothers, one sister, mother in law, father in law, & one sister in law preceded her in death; Robert Mobley, Laura B & Robert D. Russell, Willie D. Russell, Willie Johnson, Elizabeth Coakley, Thenia & RL Mobley & Ava Mobley. She was a member of the Washington Alumni Committee where she served as publicity chairman. Was also the brain child of “Girls Night Out”.